Jonathan Walters, signed from Stoke in the summer of 2017, has today announced his retirement from playing football after two injury ravaged seasons. He was injured in his first start for the Clarets at Blackburn in the League Cup. He returned to the squad just after Christmas and got back on the bench but another injury ruled him out until almost the season’s end. This season, he played in our Europa Cup game in Istanbul but by the time the loan window had closed for the Football League he had returned to Ipswich, a former club, on loan. He made his second Ipswich debut on 2nd September but by the end of the month he’d suffered an achilles injury against Bolton that has ruled him out since. 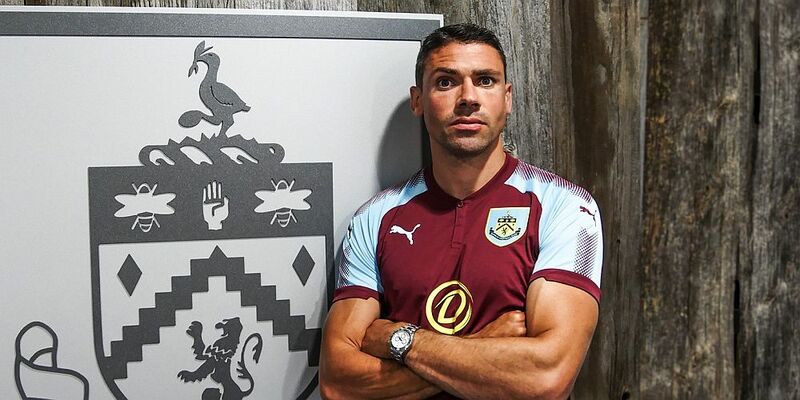 Those games at Blackburn and in Istanbul were his only starts for Burnley and he made three substitute appearances last season, in the first two games of the season against Chelsea and West Brom and finally the Boxing Day draw at Manchester United. But, overall, he has played 495 league games in his career with his first game for Bolton in 2002 when he came on as a substitute for Per Frandsen. He’s also made 54 appearances for the Republic of Ireland, scoring 14 times. Stoke fans were really upset when we signed him, so popular was he there, but he’s never had the opportunity to have a career with us because of the injuries with that European game proving to be his final game in Claret & Blue and his appearance for Ipswich against Bolton the final game of his career.